A few months ago, I decided to invest in an Apple Watch. This was actually my second Apple Watch. I bought the first generation Apple Watch but ended up returning it back then. But it was different this time around. Now, I don't know what I would do without it. I had no idea how useful this gadget would be in my daily activities. Not only does it count my steps, but it alerts me every hour to stand. I know the dangers of sitting too long. Prior to getting the watch, I still tended to sit too long at work. I get involved in projects. I need that constant reminder every hour to stand! Also, I found out my resting heart rate is in the athletic range. It's been averaging in the 40's and 50's. I can see how the watch will provide a lot of useful information for my doctor when I have my physical next month. The Apple Watch is incredibly motivating too. I've had it for about 6 weeks now. 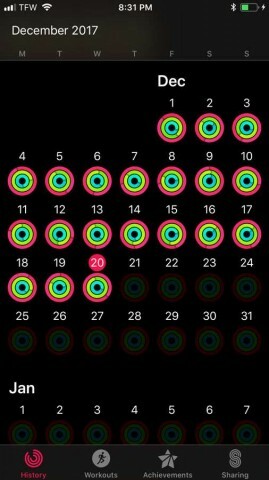 I've gotten the 3 rings every single day since then. 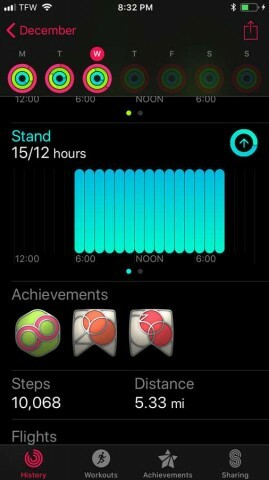 The 3 rings represent Move, Exercise and Stand. I'm very competitive... after all, I have been getting 10,000 steps for over 5 years now. I probably missed a total of like 5-10 days of 10,000 steps since starting my health journey. But I realize it's not just about steps. Sitting too long can have negative consequences and I want to be healthy! I'm not writing this just to endorse Apple. Any fitness tracker that tracks how often you stand and move are just as good. No matter what device you use, fitness trackers can be a great motivation and can definitely help with weight loss and fitness goals! Day 6 & 7: Jump-restart, getting ready to really burn! Here's how I've lost weight. Without exercise. 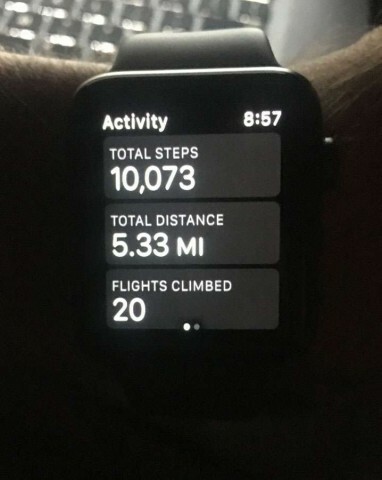 10,000 Steps a Day for a Year!